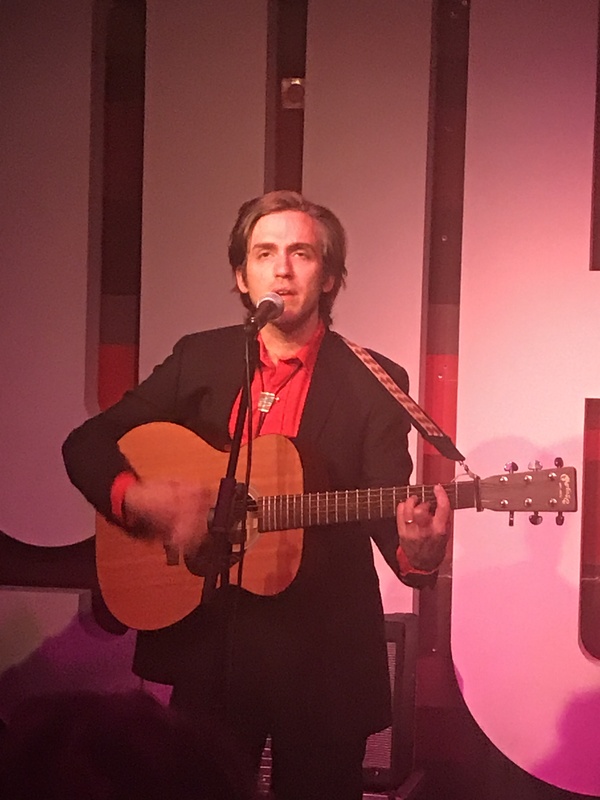 In Birmingham during his recent UK tour Andrew Combs sat down and talked with Chaz Brooks about his influences, making music and babies, changing his wife’s name to fit a song because it was the better way …. and Donald Trump. 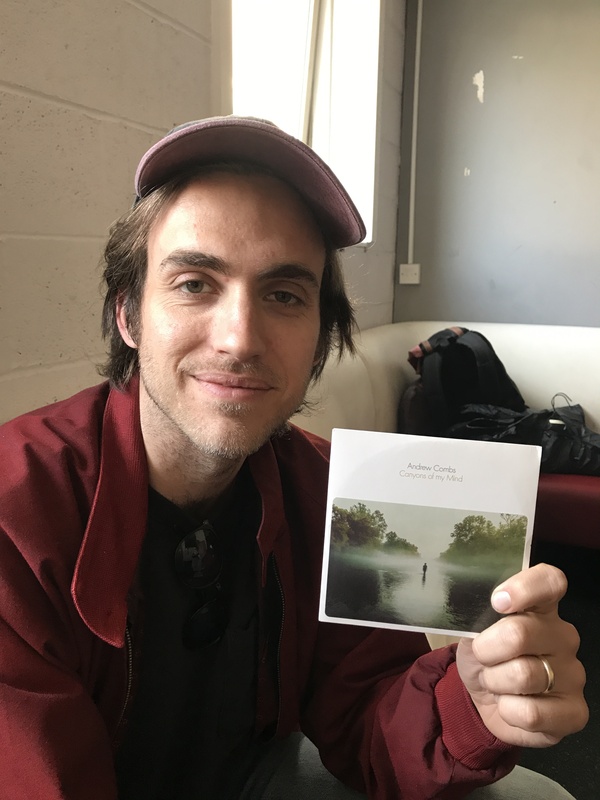 Tom from Loose Music sent me your latest album. It grew more beautiful the more I played it, it’s gorgeous work. I’m writing this for Hannah at Building Our Own Nashville who loves your music, so if I write anything nasty she ain’t gonna print it. Oh cool. Thanks man [laughs]. So you’ve got a promo copy? It’s funny that a lot of everything I’ve done takes a little bit of time. A lot of people have said that, not only about this record, but past records too. I think it’s just kinda how I am in general, even in relationships and people, friends or female relationships or whatever, it take a while to get to know who I am. To my mind all good music takes a lot of listening to before you get it. I agree. Some of my favourite records are like that. I don’t know if I could answer that. I was talking to Paul [Cauthen – who supported Andrew on the UK tour] about this last night actually. Lyrically I go to certain guys and musically I go to other people. Lyrically I always turn to Kris Kristofferson, Townes Van Zandt, Guy Clark and Mickey Newbury – and Mickey Newbury also musically. 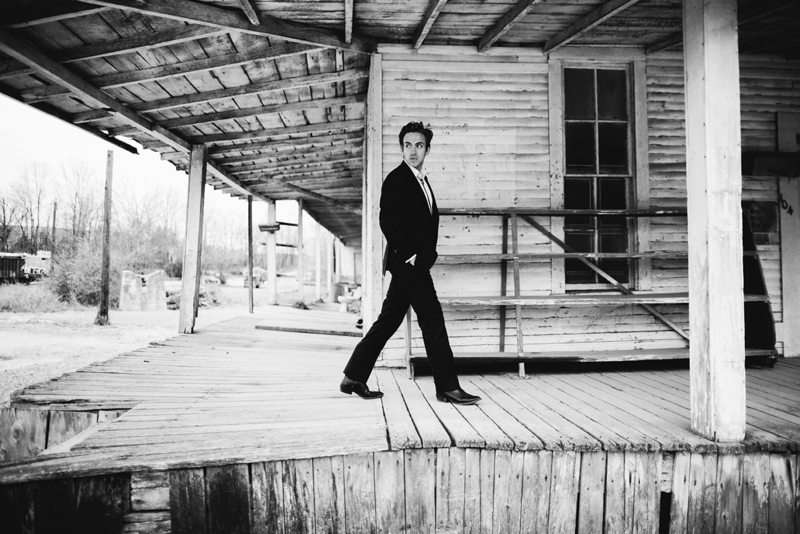 There’s a few guys I cross-pollinate lyrically and musically with, like Paul Simon, Jackson Browne, Paul McCartney – the big main stays. I really got in to the songwriting craft thing with those kinda Texas folky guys who all ended up in Nashville, whether or not they stayed or left is another thing, like Kristofferson. And now you live in Nashville, right? Yeah! I’ve been there for 12 years. I read you recently got married and went on a six week honeymoon. Yeah, how about that? We are about to have a kid! We made a kid on that six week honeymoon [laughs loudly and grins]. What else do you do in the middle of nowhere for six weeks? No way! I didn’t like to ask. Oh, that’s so brilliant. It’s awesome, yes. It’s a girl, she will be here in August. That’s fantastic! So some songs right? Yeah man, I’m sure. Do you have kids of your own? Any girls? Three. Girl, boy, girl. What’s your overall impression of your latest album, you’ve got to be proud of it. Yeah, I’m proud of it. I’m already trying to think about the next thing, so it’s hard to look back on it. I feel like it’s a good snapshot of my brain at that point in time time in my life. It changes. You know, live I love playing Blood Hunters which is fun, but Dirty Rain has kinda been the introduction to the record. That’s what I put out as the first song. Is there a story with that? It’s an overall kinda general thing, some press ran with it. It’s really just an observation. I spend a lotta time outside. That’s why you spent six weeks in Minnesota. Yeah, near Canada. I’m just always appalled at how we treat our planet. I didn’t know I was about to be having a kid when I wrote that song, but it means even more to me now. There’s lines in it that are about children. And Bourgeois King is about …. Yeah, the election and Trump…. I mean it’s started. It’s different to the other songs on the album, you can hear a bit of anger in there. Yeah. Besides the build the wall part, I wrote the rest of the lyrics first and it was before the actual election, and it was kinda just about the whole political spectrum. It was both sides. I thought it was just the worst, you know. But then obviously the song morphed in to being more about him. Yeah, with maybe Rose Colored Blues. The song What It Means to You me and Caitlin [Rose] whose the girl singing on it, wrote a long time ago. I actually wasn’t going to put it on the record ‘cause it doesn’t really fit. Like you say, it’s the only country song. But I love the song so much and I thought it came out pretty well, and everyone, the band, the producers and managers, were like “you gotta find a way to put this on there”. You can away with it on the last song, right? Bourgeois ends on that big, crazy complete jamming note, so yes What It Means is almost like a bonus track. How would you describe your music Andrew? How would you define yourself? I don’t really know. No offence but I hate that question as I really don’t know how to describe it. It’s folk music and elements of soul and rock and country. I was interested to hear you are influenced by Paul McCartney. Just an amazing song writer, and amazing with melody. You said you listen to a song for the music and a song for the lyrics …. Uh huh, Those guys that I mentioned musically I listen to like Paul Simon and McCartney. Don’t get me wrong, I love the simplicity a folk song – just three chords and the truth as they say. But for my own music and keeping my brain interested in what I’m doing I have to change things up otherwise I get too bored. Just guitar, I mean I can dabble on piano…. but just guitar really. When you compose do you do it on a guitar or piano? Guitar. I actually do a lot of composing for parts because I don’t play much of anything else, I’ll sing a lot of different parts too. Like a lot of solos you hear on the records was stuff that was in my original demos, I’m just singing the solos “da da daa” that kinda stuff. In Bourgeois King the piano part I am the demo with stacked vocals doing that. Okay, what’s next, apart from changing diapers! [Laughs]. I don’t know, I am always trying to move in a different direction and keep things interesting. I’m not saying I’m going to make a dance record or anything like that but I think there will always be a common thread between my records. I’d like to get better at guitar and start experimenting with some different sounds, maybe something louder and more rock and roll. How old are you Andrew? You have done a lot so far, you are doing well. And you keep coming back to the UK, because you like it or just because we like your music? Both, it’s easier to play over here, for sure, especially solo. I try and come once with the band and once solo every year. I have friends freak out playing in rock bands that come over and play and they say the audiences are so quiet – yet they love the shows! It’s all good. I dig it! I also love playing churches, as there’s a certain reverence or respect, maybe it helps we are not from here, people realise that we have travelled far. Everyone listens. About the The Blood Hunters video., was it influenced by Stranger Things? I think it kinda ended up that way. I was actually, when I talked the director, I think I said Twin Peaks, sort of like 80s/90s. It’s definitely bad acting but it’s tastefully done in a strange way. More of a look and feel to it than the acting – I obviously wasn’t doing much acting. Rye Cox who directed the video wanted to put the monster in it, the CGI animated thing. I was a little apprehensive about it at first. We made it to the last scene … it could go either way, we could leave this guy in black or we could put the monster in it. It worked out great – I loved it. Is there anything you want to say about a track song on the album that you might not have told anyone or is special or different? Better Way is about my wife. [Andrew sings “Christina”]. Christina isn’t accurate but it rhymed. My wife’s name is Kristen. I like that one, I love playing it live too! Thanks for your time Andrew. Good luck with the album and the tour. As a music reviewer I get approached to see and talk to a lot of artists. 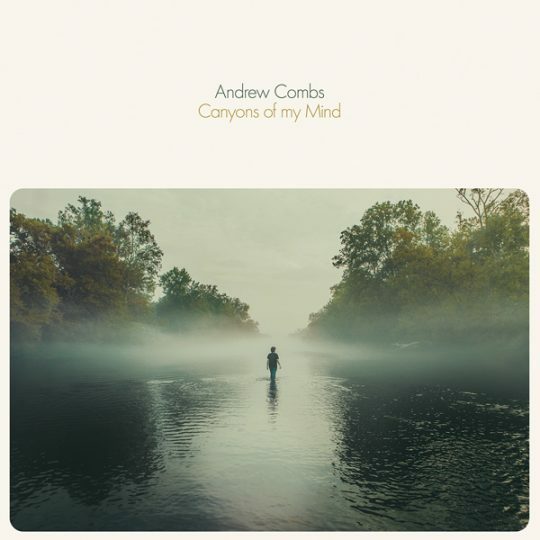 Few make the impression Andrew Combs has made on me. As mentioned in the text I received a promo copy of his latest album, which is common practice. I have since bought his first and second albums and he’s constantly on my playlist. 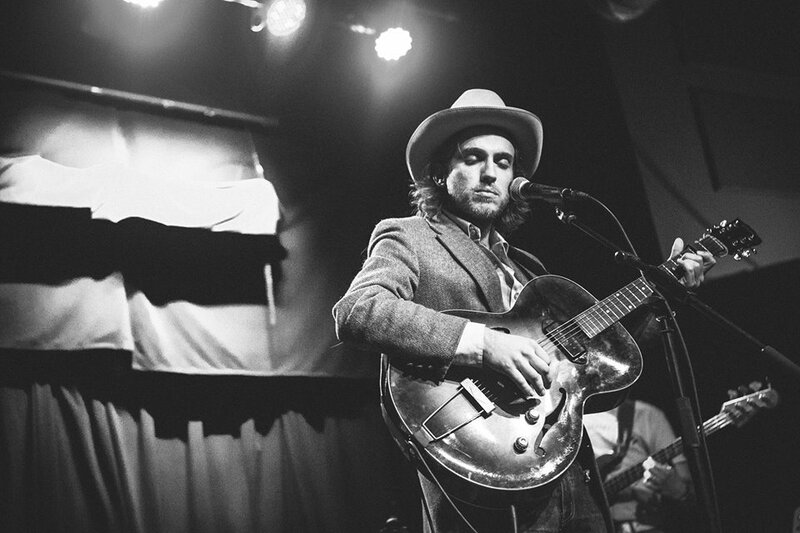 He’s a wonderful songwriting talent who performs superbly. I will be keeping a close eye on what he does next. Interview: Paul Cauthen talks influences, musical upbringing, touring, not getting married, his latest album, Cadillacs, God and timpani drums.